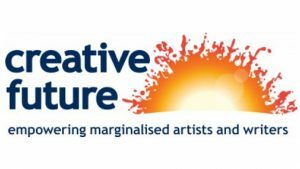 Based in Brighton, Creative Future exists to nurture under-represented artists and writers in their creative development, leading them to high quality professional creative practice. They provide skills training, mentoring, exhibiting, promoting and publishing opportunities. Having received funding from the Cabinet Office’s Local Sustainability Fund, Creative Future were keen to explore the potential for fundraising to support their work with under-represented artists. In particular, they wanted to explore what an Individual Giving programme might look like for the organisation. Through a series of workshops involving board members, staff and volunteers, Apollo Fundraising helped Creative Future to articulate their Case for Support and to explore what different types of Individual Giving scheme might look like. This included making recommendations on how to improve their existing membership scheme, providing training on Major Gift fundraising and helping them to run their first crowd-funding campaign. By the end of the project we had helped Creative Future to see which types of Individual Giving campaigns were best suited to the organisation, their work and the level of resource available. Since then, Creative Future have run a successful crowd-funding campaign, exceeding their target. This enabled them to tour work by 15 under-represented artists to four venues across the UK. Click here to see how we’ve helped other organisation like yours!